Lisa graduated with honors with a BA in Mass Communications from the University of Charleston. She worked for a variety of media outlets including radio, TV and newspaper in the Charleston area. Upon relocating to the Pittsburgh market, she worked in public relations, marketing, and design. Her clients included D-Bolt Company, Owens Corning, and UPMC. After her move to Huntingdon, Lisa was hired by the Huntingdon County Chamber of Commerce as Program Director. In the fall of 2008, she joined the Juniata community. While on campus, she has worked in the Office of Student Financial Planning, College Advancement, and the Office of the President. In 2014, she returned to College Advancement, and in 2016 she was promoted to Executive Assistant to the Vice President for Advancement. 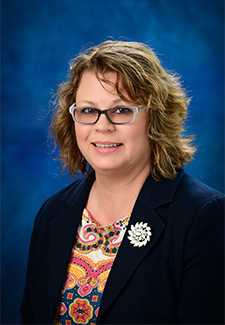 In 2017, she took on additional duties and Manager of Campaign Communications was added to her title. Lisa is married to John Roth, M.D., C.P.A., and they have four children and many pets. When she finds time, she enjoys reading, writing, and paper crafts. She likes nature-based activities, architecture, and traveling. Currently she is restoring a historic home in the borough of Huntingdon.